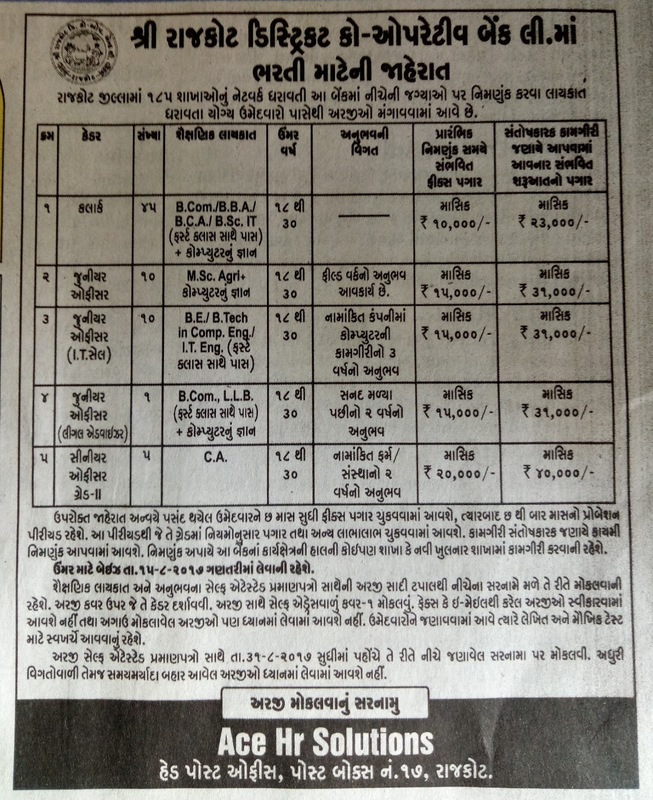 Rajkot District Co. Opretive Bank Recruitment For Various Posts. Further Detailed Information Regarding Educational Qualifications, Age Limit, Selection Process and How to Apply for Senior Research Fellow (SRF) Posts Recruitment is mentioned below. Please read advertisement for more information like Educational Qualifications, Age Limit, Selection Process and How to Apply.